Payment by phone or online through your financial institution is easy and convenient. To see your balance, check your statement of account on uoZone, under the Finances and jobs menu. To make your payment, visit your financial institution's website. Choose University of Ottawa as your account name and enter your student number as your account number. If your financial institution does not offer this service, you can pay by phone or online through TelPay. For more information, visit www.telpay.ca. Normally, payments you make by phone or online appear on your statement within 72 hours. Housing: If you are paying for your housing fees only, you may choose “University of Ottawa – Housing” as the beneficiary and enter your student number as your account number. To pay the full balance of your student account, including tuition fees, housing fees and any other fees appearing on your statement of account, choose “University of Ottawa” for the payee. You can pay your university fees at your financial institution. Do not forget to bring your university statement of account. Save your receipt - it is your proof of payment. 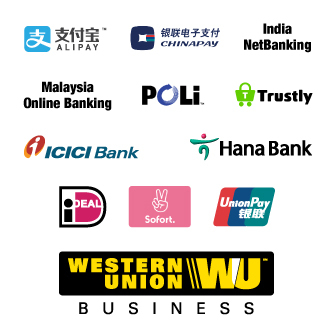 If you are an international student, the most efficient way to pay your student fees is through Western Union Business Solutions' bank-to-bank transfer. This option allows you to securely pay student fees (which are in Canadian dollars) in the currency of your choice. Furthermore, there is no administrative banking fees. See the Western Union Business Solutions information sheet for details. Step 1: Log in to uoZone from the Students page. Under Finances and jobs, select Bank-to-bank transfer for international students. Step 2: Process the payment. Your name and student number are automatically entered. Enter the amount to be paid in Canadian dollars. Step 3: Initiate the bank transfer. Take the confirmation page to your local bank. Your bank then transfers the funds to Western Union Business Solutions. Step 4: Receive your payment confirmation. The University adds the Canadian dollar equivalent to your student account and sends a confirmation to your @uOttawa email account. Step 1: Select Bank-to-bank transfer for international students. Enter the student's name and student number; please be sure to double-check the student's information to ensure the payment is credited to the correct student account. The University of Ottawa adds the Canadian dollar equivalent to the student account and sends a confirmation to the student’s @uOttawa email account. *If your local currency is not on the list of payment options, you must choose another currency for your bank-to-bank transfer. Please note that the exchange rate quoted is valid for 72 hours from the time indicated on the confirmation you receive after clicking on the Submit button. During this time, the payer must take the confirmation to his local bank, which initiates the transfer of funds through Western Union Business Solutions to the University of Ottawa. Western Union Business Solutions must receive your payment within 72 hours of you receiving the currency quote. If Western Union Business Solutions receives your payment after the 72-hour period, it makes the currency conversion using the current exchange rate. For other questions about this payment system email Western Union Business Solutions at studentinquiries@westernunion.com or call 1-877-218-8829. The amount you transfer to the University of Ottawa must be only for university fees. To find out your balance, see your online statement of account. The University of Ottawa reserves the right to hold any funds sent in excess of tuition and other university fees for a subsequent session. IMPORTANT: Be sure that your student number is written on each cheque, bank draft or money order. You can place your payment in an envelope and deposit it in the Express Payment box at InfoService. The University of Ottawa does not accept post-dated cheques. IMPORTANT: If the bank returns your cheque, an administrative fee of $40* is added to your account, in addition to late payment fees and interest at the prime rate of the National Bank of Canada plus 8%, if applicable. *These administrative fees have been approved by the Board of Governors. Don't have a bank account or need a bank close by? Just bring your University of Ottawa statement of account to the National Bank branch at 232 Rideau Street. The bank will accept your payment, stamp your statement as proof of payment and transfer your payment to the University of Ottawa within 72 hours. Please note that there is a $2 fee for this service. Please note that any payment made towards a student account will be considered the student’s property. The University does not reimburse third parties, except for sponsored students.